The first thing to say is that she had dentist approval. She also had her kids stop eating processed sugar. And that might’ve been the reason the cavities stopped, but she was a healthy mom to begin with. Before we stopped toothpaste, and before we eliminated processed sugars, one of my children had a small cavity between two molars — not big enough to drill out, but enough for the dentist to watch. 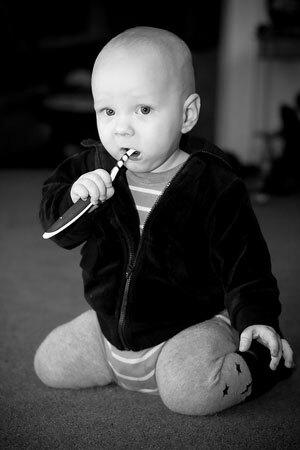 At our first six month check-up post toothpaste, no cavities. A year later, no cavities. Eighteen months later, still no cavities. Two years later, you guessed it, no cavities. 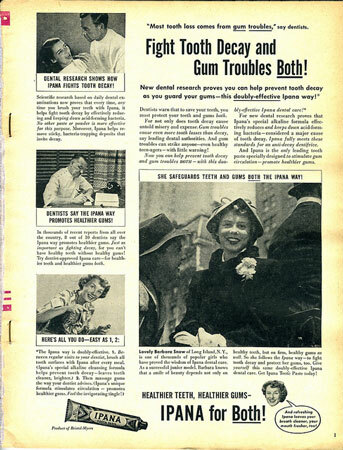 In the full article she describes what they used instead of toothpaste, how her own teeth improved, and that they still included weekly Sunday Sundaes in the diet. Well worth the read! Is there sugar in toothpaste? No ADA-Accepted toothpaste contains sugar or any other ingredient that would promote tooth decay. Flavoring agents, such as saccharin and other sweeteners to provide taste. The other sweeteners are sorbitol, aspartame, cyclamates, and glycerin. And, yes, they are the sweeteners linked to cancer in rats, aspartame and saccharin. There’s the answer, toothpaste does not contain sugar, but it does contain sweetener. And if sugar is horrible for our teeth what about sweeteners. If they perform the same function can they cause the same problems? No direct answer was found, but two alternate explanations are available. First, tooth decay comes from plaque which is the build-up of bacteria on teeth. Any food item promotes this build-up, sweetener included. Therefore, sweetener does cause tooth decay. But it is added for some purpose? What most people dont know is that plaque is removed by the mechanical action of the toothbrush bristles against the teeth and gum whether toothpaste is used or not. Much to the toothpaste manufacturers chagrin they have never been able to prove that using toothpaste increases plaque removal, it simply makes for a better experience by adding some flavor. He then goes on to recommend using baking soda with fluoride, or “use whatever you like” since toothpaste does nothing for your teeth. An interesting thought, is toothpaste really useless? Here is an article from a mother who, with her dentists approval, stopped using toothpaste – No toothpaste, No cavities. It said her family has greatly improved teeth and fewer cavities. Another article challenges the other toxins in toothpaste, the abrasives and detergents. Saying they are products pulled from “engine degreasers” and other industrial products. But that is written with the hope of selling you an herbal toothpaste. In conclusion, there is sweetener is toothpaste but only in small amounts. Most articles say it is less than 2% of the product and maybe that’s why it causes no harm? Either way it is only a flavoring and does nothing to help our teeth. Indeed there is some doubt about the value of toothpaste altogether. So be wary the next time you buy a toothpaste for its cavity fighting protection or sensitive relief technology. And if you’re feeling adventurous consult your dentist, quit toothpaste, and enjoy trying the alternatives. Continue reading Is there sugar in toothpaste? Posted on September 13, 2012 Author robotchampionCategories defaultTags ada, alternative, american dental association, baking soda, herbal, internet, periodontist, toothbrushLeave a comment on Is there sugar in toothpaste? I can’t believe it either, but it works really well. Baking soda is a natural cleanser that helps control pH balance and neutralizes any substance that causes stains or odors. This means that not only will your family’s teeth shine, but they will have much less phlegm. This also allows you to help your kids skip all the chemicals in the store-bought toothpaste, including fluoride which has some controversy surrounding small children. No exact measurements are required, but you will notice that baking soda tends to stay dry. So just add a little water every so often. I store mine in a used plastic container and that’s it! You really can’t beat this deal since baking soda is so cheap. Plus, you have no waste products, a great bonus considering that very few of those toothpaste tubes are recyclable. Should you be tempted to try out some of the other homemade toothpaste recipes, here is some advice. Absolutely skip the hydrogen peroxide. I can’t believe people recommend this but they do say it matches the “cleaning power” of store toothpaste. That’s a scary thought. I’ve also tried adding salt, coconut oil, and vegetable glycerin. Only coconut oil wasn’t dreadful and is promoted as “naturally anti-bacterial and anti-viral,” but I didn’t notice any benefit. Finally, if you want some flavor I recommend cinnamon, but add just a dash as it is pretty powerful. Many sites also recommend mint but it hasn’t worked for me. I’ve even used fresh garden mint to no avail. Maybe I need to grind it to dust, mortar and pestle style. I hope this helps you make the switch and make sure to let me know how it goes! Classic magazine ad from Ipana.